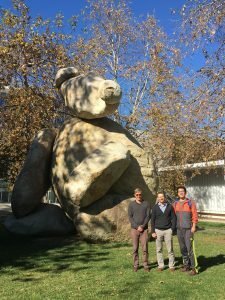 Perry (Lu’s surf instructor :), Ryan, Lu, and the UCSD Hawkinson Bear on Lu’s last day on campus. 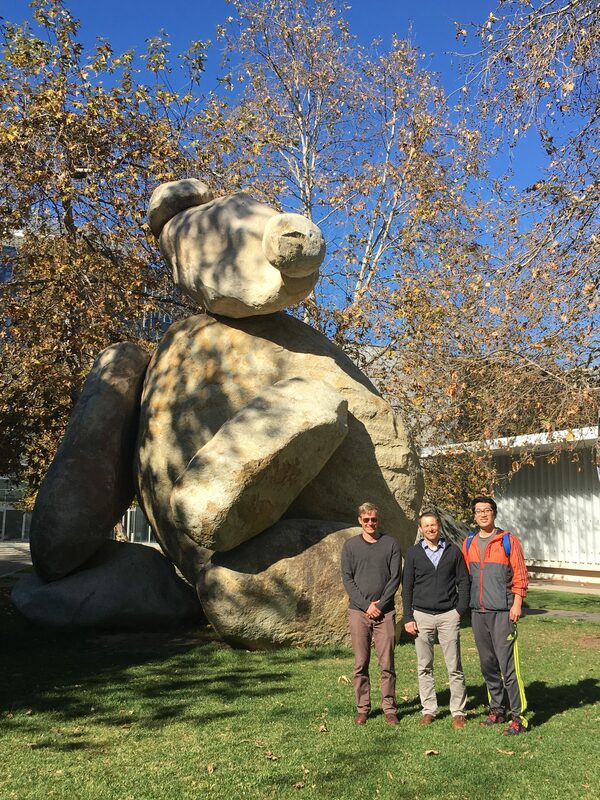 Lu Zhang ended his two year stay at UCSD as a visiting graduate student in our group. This was funded by the China Scholarship Council scholarship. During his time at UCSD, he built a measurement system that captured the power consumption of an FPGA while computing different cryptographic operations. His research focused on how different hardware optimizations (e.g., pipelining and memory partitioning) can change the security of the cryptographic hardware. This initial work (“Examining the Consequences of High-Level Synthesis Optimizations on Power Side-Channel”) was accepted for publication in the Design, Automation and Test in Europe (DATE) conference. Lu will travel to Germany to present his work there in mid-March. Lu returns his home university Northwestern Polytechnical University in Xi’an, China to finish his PhD. We wish him the best and look forward to seeing him soon!